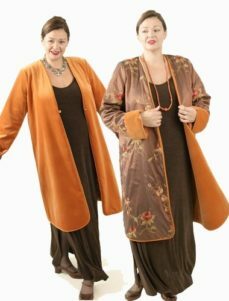 The Daisy is easy to wear and very easy to alter, designed to be the essence of contemporary chic: A loose, casually-fitting jacket that's quite dressed up. Let's you be yourself on those very special occasions. Create a dreamy custom mother of the bride outfit by pairing this gem with your favorite black dress or separates or let us create a custom Slip Dress, Tank Dress to your measurements. 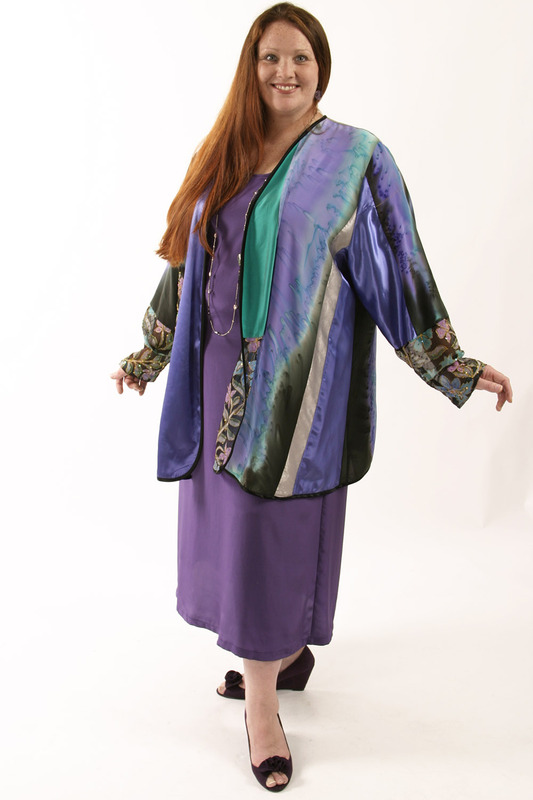 Each jacket is actually one-of-a-kind since hand-painted elements always vary slightly, are always unique. This treasure is particularly wonderful for its complete integration of so many disparate materials, the illusion of a peplum created by placement of the beaded panels in back. It's one-of-a-kind, so you'll never meet your twin at an event. 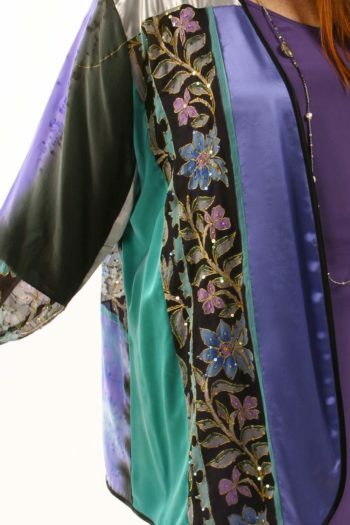 Be the first to review “Formal Artwear Jacket Satin Embroidered Beaded Purple Turquoise Teal Size 30/32” Click here to cancel reply.